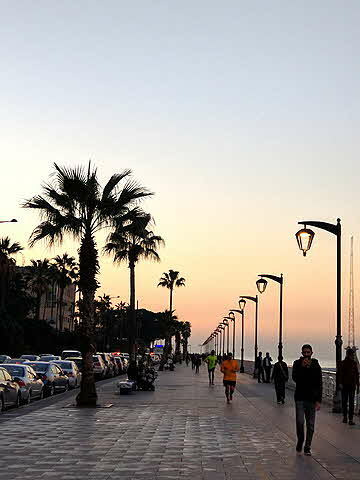 But I have several Lebanese acquaintances who travel back and forth and I had always wanted to visit the region which used to be referred to as “the Paris of the Middle East.” It turned out to be a compact country packed with centuries of history, gorgeous geography, delicious food, and friendly people. I visited ancient Greek and Roman cities; basked on the beach; watched skiers in the mountains and feasted on Levantine cuisine and local wines. Landing in Beirut I was picked up at the airport by Denise, the daughter of friends whose driver brought us into town for me to check into the Grand Meshmosh, a place I’d chosen for its ideal location. Instead of a beachfront hotel, it was situated halfway up the historic Benjamin Steps which link Beirut’s trendy Gemmayzeh district to the tonier neighborhood on top. Heading down I could choose among dozens of internet cafés and boutiques along Rue Gouraud while at the top of the stairs, antique shops and galleries, a villa museum, and luxury apartment towers intermingled on Sursock Street. Still recovering from destruction during the 1975-90 civil war, Beirut retains remnants of colorful Arabic/French architecture. The bazaar has been transformed into an ultra-modern mall with shops from H&M to Hermes. Just below the spacious campus of the American University of Beirut, a promenade along the Mediterranean shore passes outdoor seafood cafés and a giant Ferris wheel. 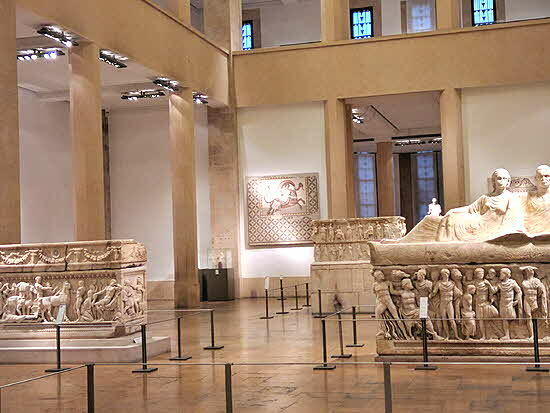 A treasure of the city, the National Museum of Beirut showcases artifacts tracing the country’s eleven thousand years of history. During the war’s bombardments, curators encased important pieces in protective blocks of concrete and a video shows how workers chipped it away to free the statues and sarcophagi for display. 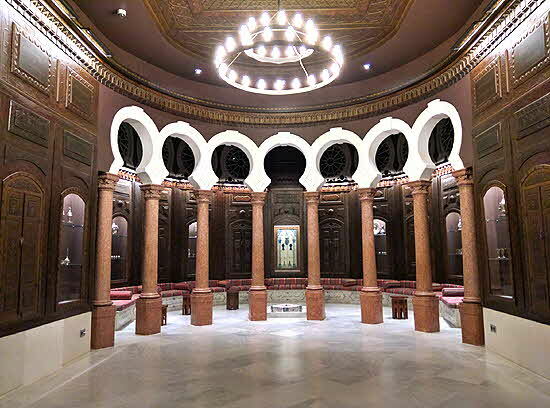 The museum exhibits are a preview to remarkable archaeological sites found throughout the country. 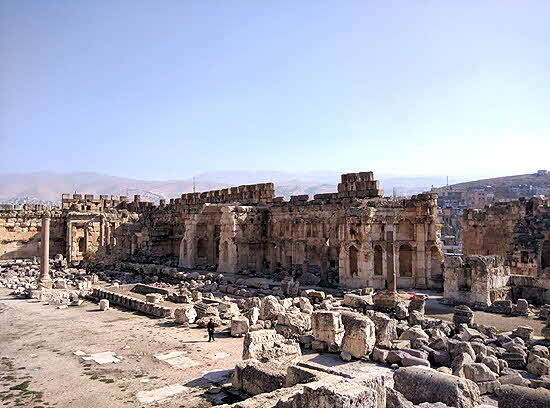 Less than one-two hour drives away, visitors can tour the ancient Phoenician seaport and crusaders castle in Byblos, trace the ruins of shops which lined the main road of classical Roman Baalbek or pass through the huge Ottoman gateway of the Citadel in Tripoli. Growing in the mountainous middle of the country are the “cedars of Lebanon,” which figure prominently in the Old Testament and are now the country’s national emblem. It was snowing the day we drove up to see them and the pines were gorgeous trimmed in white. We passed busy ski resorts and the country is so compact that a few hours later we’d returned and I took off my shoes and waded off a Beirut beach. This middle-eastern cuisine boasts of kibbeh i.e. bulgur and finely ground meat; deep fried falafel patties and savory tabbouleh. I’m not usually a fan of hummus, but this local delicacy was delicious. 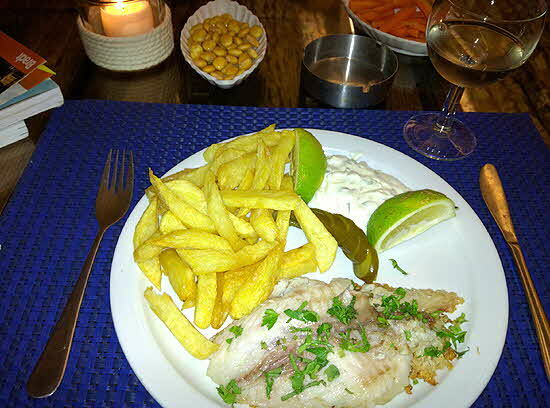 All the traditional dishes would be set out at meals along with fresh tomatoes and peppers – and the local liqueur arak!! My favorite restaurant was Le Chef, a casual storefront that is a popular hangout Denise recommended. After dinner there one night we ran into her friend, Ronnie Chatah. The son of an assassinated statesman, his impartial guided tours of the city are so much in demand that coincidentally two weeks after my return I found him profiled in a feature in the New York Times. Throughout the country one notices an unobtrusive military presence and the Lebanese are aware of a high percent of Syrian refugees. 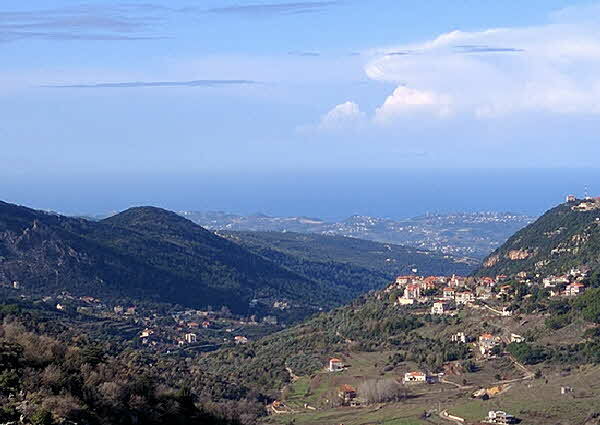 Cautious at first I signed on with Nakal Tours for inexpensive day trips to Byblos, Baalbek, and the Cedars. Drivers can be hired for around $100 per day for those who prefer to tour independently. Eventually I went ahead and traveled on my own taking taxis and public minibuses to Sidon and to Tyre which was my favorite city. Modern Tyre encompasses the ruins of two vast ancient towns. 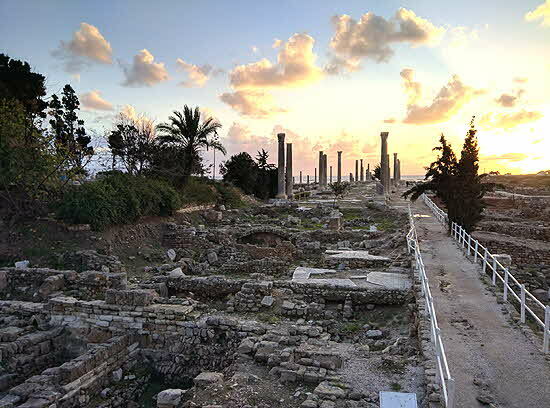 Late on the day of my solo excursion I found myself virtually alone in the calm timelessness of the vast Al-Mina excavation amid ruins of the agora and a Roman bathhouse; I walked down a long colonnaded road which led virtually into the sea where the sun was setting. As night fell I wandered among the tidily restored medieval stone walls and cobbled streets of the old town and came across a hotel I will always remember. Built by the great grandparents of the current proprietor, the Hotel Al-Fanar is a stone mansion perched directly on the shore. 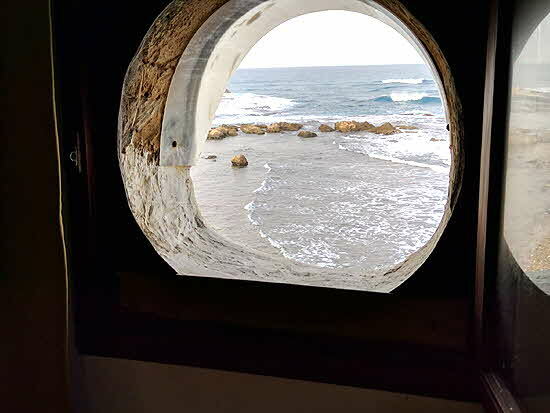 The manager let me pick a cozy tower room and I slept all night with the sound of crashing waves that had brought Phoenicians, Romans, Greeks, Byzantines, Crusaders, and Ottomans to the shore for centuries before me.